I am a sucker for books set in South Carolina. I devour books by Dorothea Benton Frank and have savored Pat Conroy tales. I will try just about anything to get a little Charleston / Sullivan Island / Folly's Beach in my life. Which is super strange since I have never been there but have planned many vacations there that have yet to happen. Description: Zoe Rutherford wasn't sure what she was expecting when she returned to Sullivan's Island. The house on Sullivan's hadn't represented home to her in decades. It was the place where she endured her father's cruelty. It was the place where her mother closed herself off from the world. It was the place where her sister disappeared. But now that her parents are gone, Zoe needs to return to the house, to close it down and prepare it for sale. She intends to get this done as quickly as possible and get on with her life, even though that life seems clouded by her past, both distant and recent. But what she discovers when she gets there is far beyond her imagining and will change her in profound ways. 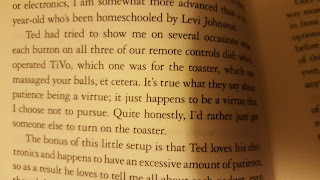 This book sounded like my kind of book. And it started out that way. It had mystery. It had beach. It had a potential for danger. It had a learning to be yourself aspect. There was beer. And wine. And grandma's who told Gullah stories. And somewhere after the first couple of pages it started to just fall flat. I was even okay with it being a feel good story and not that horrifying or awful in the mystery/suspense aspect until the second to last chapter, I believe. Then I was just annoyed with the ending. I felt I deserved a better ending for reading the book. Also? I wanted to like the main character. Really did. The components were there. But just fell flat. I was disappointed because I really wanted to love it. Like I said, it possessed all the things I love, it just didn't jive for me. 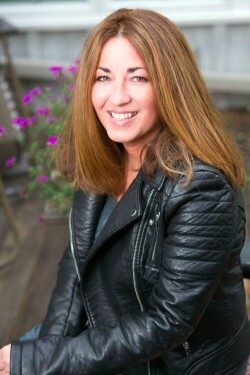 About the Author: Tanya Anne Crosby is the New York Times and USA Today bestselling author of twenty-five novels. She has been featured in magazines, such as People, Romantic Times and Publisher's Weekly, and her books have been translated into eight languages. Her first novel was published in 1992 by Avon Books, where Tanya was hailed as "one of Avon's fastest rising stars." Her fourth book was chosen to launch the company's Avon Romantic Treasure imprint. Known for stories charged with emotion and humor and filled with flawed characters, Tanya is an award-winning author, journalist, and editor, and her novels have garnered reader praise and glowing critical reviews. In 2013, she penned her first romantic suspense novel, Speak No Evil, which appeared on the USA Today list. 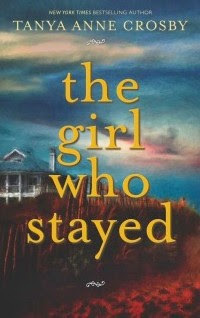 The Girl Who Stayed brings her full circle to work with Lou Aronica, President and Publisher of The Story Plant, who first published Tanya at Avon Books. Tanya and her writer husband split their time between Charleston, SC, where she was raised, and northern Michigan, where the couple make their home. Is there a certain geographical area that you are drawn to read about? What types of descriptions make you want to pick up a book? Have you been to Sullivan's Island? I received a copy of this book from TLC tours. All thoughts and opinions are my own. 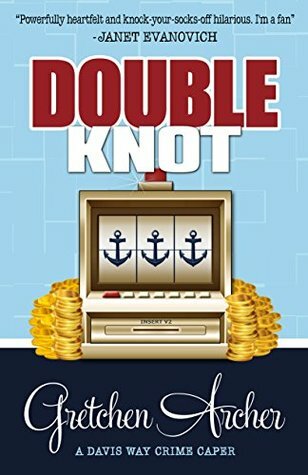 I am so glad that I got the opportunity to read Double Knot by Gretchen Archer! 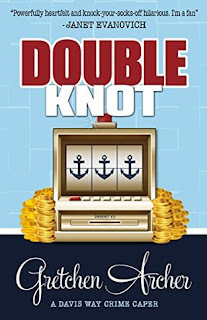 Double Knot is the 5th in the Davis Way Crime Caper series! And we all know how I love a series!! Gretchen writes quick witted and funny dialogue. Her categories may be outrageous but they are consistently outrageous! And I love them. If you love Janet Evanovich you MUST try out her series. Description: Super Spy Davis Way sets sail on a Caribbean cruise aboard the MS Probability with fifty billionaires, a boatload of Louis Vuitton luggage, Anderson Cooper, and her mother. (Her mother?) The weather is perfect, the seas are calm, and Suite 704 is spectacular. Until the door slams shut. For good. Obviously, it’s a system glitch. Surely someone will show up to free Davis, Miss Hawaii, and the creepy staff. But when the minutes turn to hours and the hours stretch into a day, Davis knows it’s up to her. With $50,000 in casino chips, a pot roast, and a crash course in banking, she races against the clock to determine why they’re being held, stop the people behind it, and find a way out. Secrets are revealed, antiquities are destroyed, and they’re running out of dishes. It’s mayday on Probability when Davis Way realizes that only the truth will set her free. Only thing I'd warn people is that there is pregnancy is in this book and some of it could be a little too much if reading about pregnancy can be a trigger. The quick of it is that Davis and her entourage which includes her cat, Anderson Cooper, Fantasy, her mother and the suite wait staff arrive in their suite with the addition of Jessica who was in charge of organizing the cruise with her husband, when the doors clock in their fancy suite and their means of communication to the outside is knocked out. Of course Davis Way isn't even supposed to be in this suite, Bianca Sanders is supposed to be there for her pregnancy photo shoot. But of course she has Davis doing her dirty work. What, wait are you confused? Little series back story... Davis is a dead ringer for her bosses wife and her bosses wife uses it to her advantage. Especially now that they are both pregnant. At first they assume it's the whole ship. But then they realize something more sinister is happening and they need to work together to help themselves and their loved ones. The book basically covers 2 days but it seems like they would be at sea much longer than that with all the action that is packed in! Even though this book is part of a series you could probably read it as a stand alone but I would recommend you start at the beginning of this awesome series! Don't miss out, this book comes out April 12th! There is also a giveaway going on through goodreads! Take the time between now and April 12th and read the other four. I guarantee you will read them quickly and be entertained! 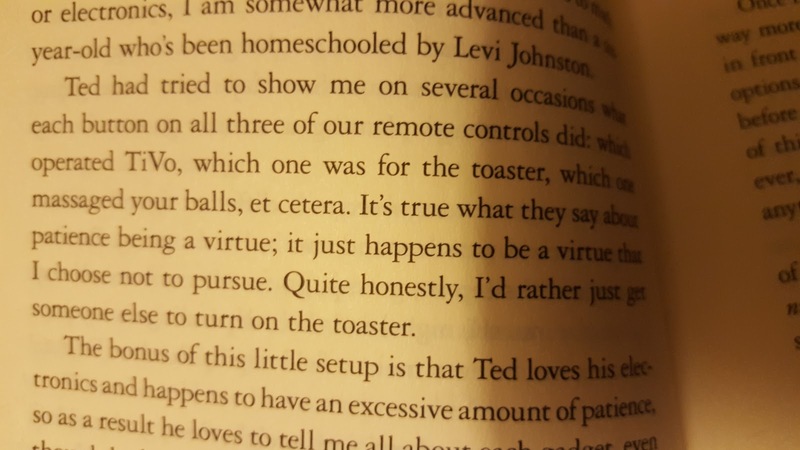 What funny books have you read recently? Do you read cozy mysteries? Thanks to Larissa for sending me a copy for review. All thoughts and opinions are my own! I will say that The Magic Treehouse Series has been great for reading aloud with my kiddo. I have other books but she is HOOKED on this series! I was going to say as my life slows down a bit I will focus more on picking up choices for specific topics as was my original plan, but who knows when it will actually slow down! I will have to be intentional with my library trips that is for sure. Are you participating in the Read Harder Challenge? How many have you completed? Which is the hardest task to complete?